"Well... I'm Glad I Ain't Scared To Be Lazy!" 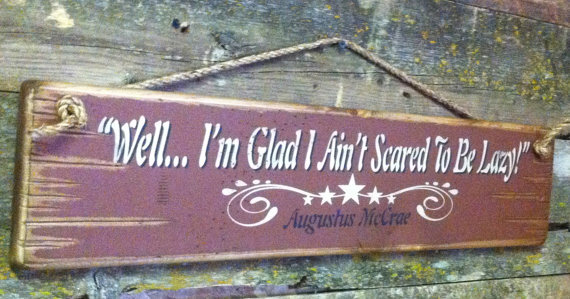 Augustus McCrae. This is Gus at his finest! A popular quote from the movie Lonesome Dove. This sign measures 5.5x24 and comes with the grass rope hanger for easy hanging and has a rust background. Handcrafted with pride! !